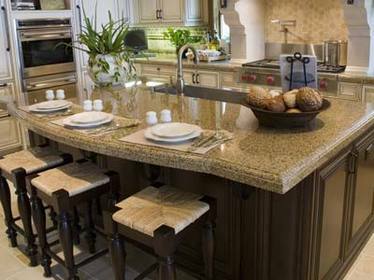 The beauty and permanence of natural stone countertops are enjoyed by many. The full potential of any installation is realized only when the selection, design, fabrication, and installation are completed by a qualified and experienced company like Surface Creations. Many varieties of natural stone have been used successfully for countertop surfaces. However, different types of stone have specific properties that offer advantages or disadvantages in various applications. Be sure to discuss your project with us in order to determine the best product and approach.